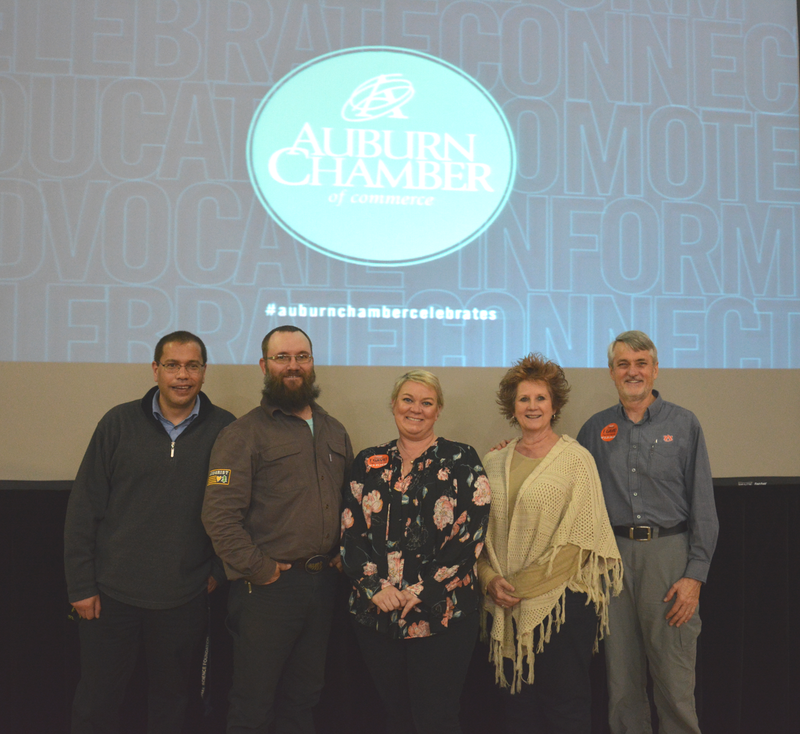 At the 70th annual Chamber of Commerce meeting on Thursday, February 21, the Donald E. Davis Arboretum was recognized for its outstanding contributions to the Auburn community. Almost 700 people gathered at the Auburn Arena to celebrate the achievements of the business community in Auburn. The Davis Arboretum, a 13.5 acre botanical garden, located at the heart of Auburn’s campus. The Arboretum’s Oak collection is the only nationally accredited collection held by any garden in the Southeastern Conference (SEC). The Davis Arboretum is located at 181 Garden Drive in Auburn. It is south of the Auburn University President’s house and across the street from the Garden of Memory. The Arboretum is free to the public and open year-round. Visit the Arboretum's website or connect with their Instagram or Facebook pages. Department of Biological Sciences Chair Scott Santos; Arboretum Specialist Patrick Thompson; Donald E. Davis Arboretum Curator Morgan Beadles; Arboretum Specialist Teri Briggs; and Department of Biological Sciences Alumni Professor Robert Boyd.